Adrienne was an adjunct researcher with the Centre for Population and Urban Research and senior researcher with the Parliamentary Library in Canberra. She has worked as a teacher, researcher, adviser, and writer in the areas of social policy, migration, settlement and population. She has a particular interest in refugee policy and the international asylum system. 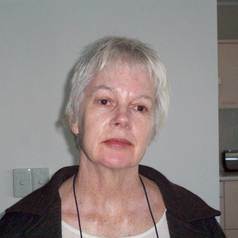 Her publications include articles and reviews for People and Place, and research papers and issues briefs for the Parliamentary Library in Canberra.